Initial builder’s window cleaning is probably the most challenging projects that window cleaning professionals handle. Popularly known as post construction window cleaning, the job involves removal of construction debris from window frames, panes and tracks. Cleaning professionals also have to deal with plaster, render, paint, and concrete marks, and various other types of debris splatted on glass during the construction process. Construction workers are not generally trained to clean window panes and hardware properly either during or after the process of construction is completed. Neither are they generally trained to identify the potential hazards of construction and fabricating debris present in heat strengthened glass. Professional window cleaners specializing in post construction window cleaning are thoroughly trained in the removal of various types of construction debris such as silicone, stickers, and cement without causing any scratch or damage to the glass surfaces. Window cleaning companies assigned the challenge of initial builder’s window cleans will usually conduct a comprehensive survey of the project to get a fair idea of the effort and labour involved. Most builders face the problem of having to deal with damaged and/or scratched glass after the windows have been cleaned post construction. This usually happens when the post construction window cleaning is handled by untrained amateurs who have no idea about removal of debris, stains and marks from glass panes or do not identify the standard of fabrication debris in tempered glass or type of glass and product guidelines. Professional window cleaning services in Perth with numerous years of experience know which cleaners to deploy and make a detailed assessment of glass product manufacturing guidelines and standards. Getting post construction windows cleaned is an industry wide problem which throws up even greater challenges when the project involves cleaning of tempered glass. There is no one, universal solution for various types of windows. The approach to cleaning must be suitably tweaked according to the kind of glass used on the windows and other areas of the building. This calls for experience of another level and should only be attempted by the most seasoned professional. Professional window cleaning services will know which specific equipment to use while cleaning window frames, tracks, accessories and other hardware. They are trained and equipped with the right tools for removal of tape residue and protective coatings, and leaving the windows free of any stain or streaks. Protecting windows during construction is highly recommended but it is a practice that’s seldom followed by developers and builders. 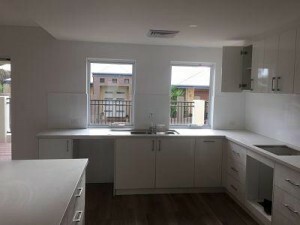 Choosing the best window cleaning service, specializing in post construction window cleaning in Perth is important for achieving the best results. Services specializing in this specific cleaning task will be able to deliver impeccable results and ensure that every single window and glass pane of the construction project appears spotlessly clean. Visit any site post construction and you will find that it’s the windows that often take the biggest hit. Debris from construction work including remains of putty, paint splatters, cement stains, concrete, grime, dust, chemicals, tape marks and a host of other materials used during the construction process can ruin the look of your windows. Cleaning them on your own is not advisable as it can lead to further damage when handled by untrained hands. We know how to remove the toughest marks and stains without causing even a small scratch on the window glass. Your windows will look new as they should. Building projects make use of various types and textures of window glass and frames. A sound knowledge of how each type of glass must be handled to make sure they do not suffer any kind of damage during the cleaning process is essential. Some construction debris and stains can be quite stubborn in nature and cannot be removed using conventional cleaning methods, solutions and processes. With our specialized skills and extensive knowledge, we can remove any kind of dirt or stains from all types of window glass to restore them back to their original, new look. Our impressive track record in on various types of projects makes us the go-to window glass cleaning service for top builders from Perth and adjoining areas. Call us now for more details about our builder’s window cleaning packages. 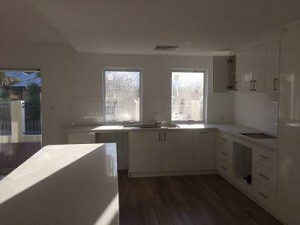 Builders and homeowners all over Perth have collectively suffered huge losses running into tens of millions of dollars because of damage caused to tempered glass. However, instead of owning up responsibility for the damage, developers often attempt to shift the blame onto window cleaners. They claim that window cleaners use defective tools and wrong cleaning methods to remove construction debris from tempered glass. Builders and developers conveniently forget the fact, deliberately or otherwise, that poor quality fabricating (excessive fabricating debris) is the real culprit. There is a simple way to overcome this problem. 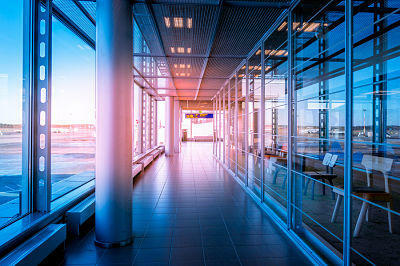 Fabricators can test the glass at their end before it is released for sale to builders. Additionally, builders, developers and architects simply have to order tempered glass surfaces that can be cleaned effectively without causing any damage to the surface with standard cleaning procedures. Good quality glass can be freed of all types of debris by professional cleaning, not only after construction, but at all times during the lifetime of the window. Tempered glass is up to five times stronger than normal glass and hence preferred by contractors and architects for use in building construction for windows and openings. However, as the structure, construction, manufacturing, and finish of tempered glass is different from ordinary glass used for doors, windows and entrances, they must be handled carefully and in a different way during cleaning and maintenance. Cleaning tempered glass post construction is probably one of the biggest challenges professional cleaning services have to face. Window cleaners have to deal with construction debris of various types such as concrete, texture, paint, plaster, stucco, mortar, mud, tape, stickers and lots more. Window cleaning professionals can meet this challenge by using the best available tools and techniques specifically designed for such purposes. Post construction tempered glass cleaning is best left to experts who know the exact procedures and tools to use while carrying out this rather tough glass cleaning process. There are no short cuts in the post construction cleaning process and this is by far the most time consuming of all window cleans. Post construction tempered glass cleaning must be done with lots of patience and by expert hands to get the best results and also to make sure there is not even the slightest damage to glass surfaces. Hiring the right glass cleaning service is crucial for achieving the desired results in post construction tempered glass cleaning. Only cleaning professionals with experience and expertise in this job can pull it off successfully.